want to join us at one of the NEXT lucky things EVENTS? Lucky Things events have an amazing reputation for being inclusive events for all women. Bring a friend and it’s perfectly fine to come along on your own too (many do!). They’re guaranteed to leave you inspired. 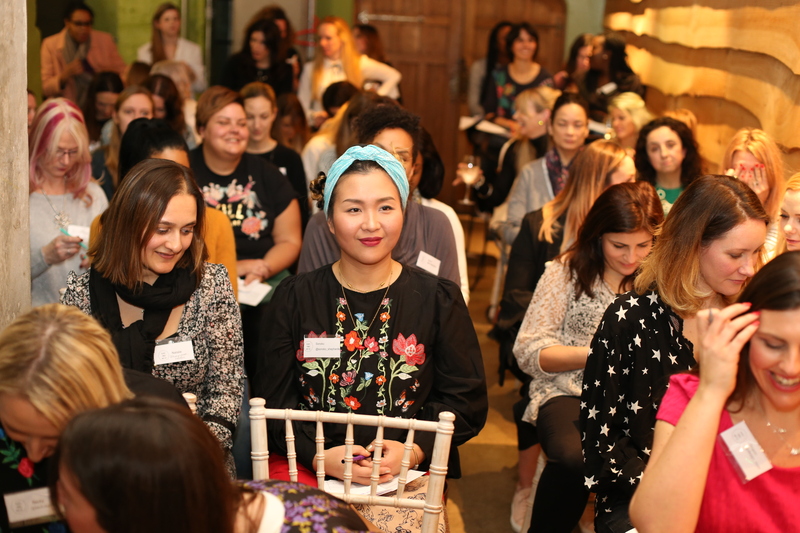 Lucky Things Meet Ups all feature a talk or workshop so you leave with practical tricks to boost your confidence, career and wellbeing. South London – Wednesday 12 September 2018 – Lucky Things Meet Up 7pm-9.30pm We have fabulous beauty editor and stylsit Fatima Truscott from The-ft-times.com on the talk panel sharing style, confidence, career and wellbeing tricks. CLICK HERE TO BOOK YOUR PLACE. Central London – Saturday 6 October 2018 – Lucky Things Meet Up 2pm-5pm Another confidence, career and wellbeing talk. Speaker it to be announced shortly. CLICK HERE TO BOOK YOUR PLACE. More 2018 and 2019 dates are to be announced. Follow Lucky Things on Instagram or email sunita@luckythings.co.uk to receive the friendly e-bulletin. what are the lucky things meet ups all about? 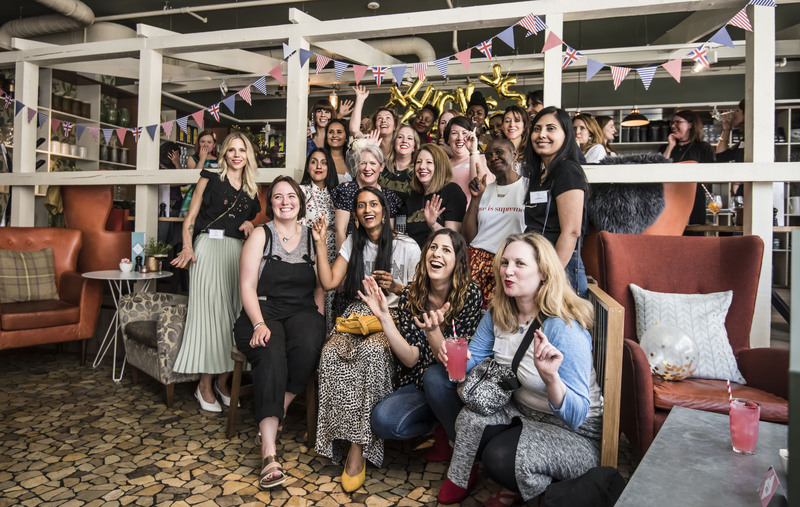 Lucky Things Meet Ups and Lucky Things Local are sell-out networking events for women across the UK. It’s about investing in ourselves and enjoying some time out with a friendly crowd. Nothing beats seeing people in real life. 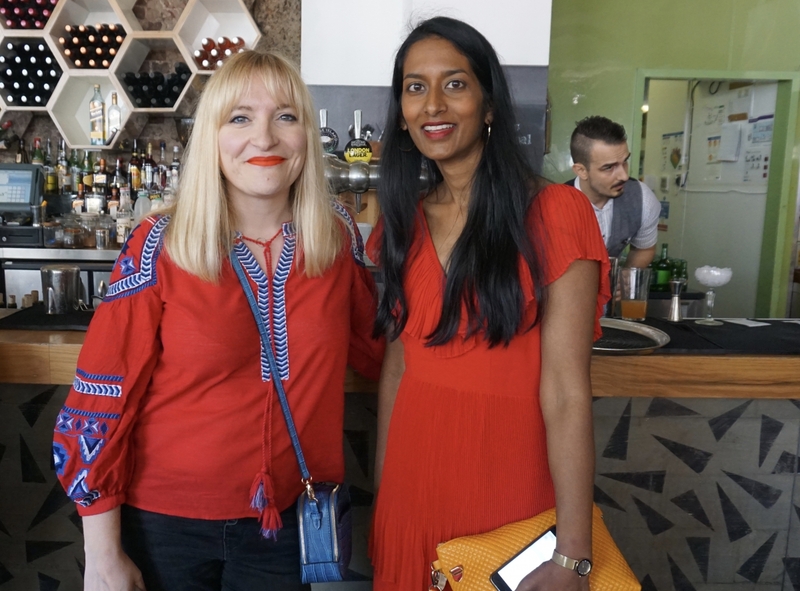 The Lucky Things Meet Ups are run by Sunita from Lucky Things blog, a Coach and HR and people development expert who enjoys sharing top tips online and offline. Although social media is great for accessing support and connecting with people who you may not meet on your everyday travels, nothing beats seeing people in real life. Having started her blog whilst going through some tough times, Sunita is a strong believer that face to face social time is really important for our wellbeing. Talks focus on confidence, career, wellbeing, parenting and style. Read about Sunita appearing on BBC Radio and BBC News where she was interviewed about her blog, Instagram profile and events. Sunita has also been a speaker on stage at Blogtacular 2017 and at eBay’s global marketing summit. Through her blogger outreach work, Sunita also works with brands to design bespoke gatherings and deliver talks at these events. Fancy seeing what we got up to at other Lucky Things Meet Ups? Pop over to the Lucky Things Blog You Tube channel for the Video Intro for the Lucky Things Meet Ups (by @siandavisx) and the round-up of London’s April event (by MovieBytes). what are people really saying about lucky things events? North London – Friday 26 January 2018 7.30pm – Lucky Things Meet Up North – Sunita, HR expert and Coach will be running a brand new workshop on Feeling Confident About Your 2018. She will be sharing top tricks to get the best out of your year. It’s also going to be a fabulous social. Venue is Tomato Tutors learning studio, nearest tube East Finchley (SOLD OUT). London – Saturday 13 January 2018 – Lucky Things Meet Up 2pm – Kick off your 2018 hearing wellbeing tricks for women from author Anya Hayes and Dr. Amal Hassan (SOLD OUT). – Saturday 25 November 2017 – Lucky Things Let’s Dance! 6.30pm– An end of year special featuring surprise treats. An evening of tunes and dancing just for women at a Soho venue in central London (SOLD OUT). Cambridge – Wednesday 22 November 2017 – Lucky Things Meet Up 7pm – We have Finn from The Positive Planner on the Lucky Things Let’s Talk Confidence panel. We’ll be chatting about how to juggle work, play, life and your wellbeing (SOLD OUT). South London – Wednesday 15 November 2017 – Lucky Things Meet Up 7pm Clapham Common Old Town SW4. Come along to hang out and hear top tips on style and confidence. On the Lucky Things Let’s Talk Confidence panel we have the fabulous Yvadney, fashion stylist @mumsthatslay_crew and the amazing Debbie, @afashionablepan and fashion buyer (SOLD OUT). London – Saturday 4 November 2017 – Lucky Things Meet Up – Looking after yourself & everyday mindfulness 2pm– Panel features Dr Tamara Russell, a leading mindfulness expert (SOLD OUT). London – Saturday 14 October 2017 – Lucky Things Meet Up – Boost your productivity and confidence 2pm – Panel features Sarah from business admin and finance company @the_mama_works (SOLD OUT). Bristol – Sunday 8 October 2017 – Everyday Confidence 2pm – Panel features Amy from www.wearesocialbutterlfies.com and Chiedza from www.abunchofmums.com (SOLD OUT). North London – Lucky Things Meet Up – Wednesday 4 October 2017 – Career Confidence workshop led by Sunita and panel talk featuring Antonia Sanchez-Toomey from Tinker Tailor Online (SOLD OUT). South London – Lucky Things Meet Up – Thursday 28 September 2017 7pm – Social event and confidence talk where Yvonne Telford from Kemi Kids is joining me on the panel (SOLD OUT). Cambridge – Lucky Things Meet Up – Wednesday 20 September 2017 7pm – Social event and Confidence workshop led by HR expert and coach Sunita from Lucky Things (SOLD OUT). South London – Lucky Things Meet Up – Wednesday 16 August 2017 7pm – Confidence workshop led by HR expert and coach Sunita from Lucky Things (SOLD OUT). Manchester – Saturday 15 July 2017 – Lucky Things Meet Up – Everyday confidence 2pm – Panel features social media manager Katie Conosby from twinsplusonemummy.com (SOLD OUT). North London – Lucky Things Local – Wednesday 5 July 2017 7pm – Confidence workshop led by Sunita (SOLD OUT). Bristol – Saturday 25 June 2017 – Style and confidence – Panel features personal stylist Lucy Eastment from @styled_by_lucy (SOLD OUT). London – Saturday 22 April 2017 – Feeling confident about your own style – Panel features Alison Perry and Susan Alcindor (SOLD OUT). London – Saturday 28 January 2017 – Being mindful – Panel features Dr Tamara Russell, a leading mindfulness expert (SOLD OUT). Want to hear about Lucky Things Meet Up dates?